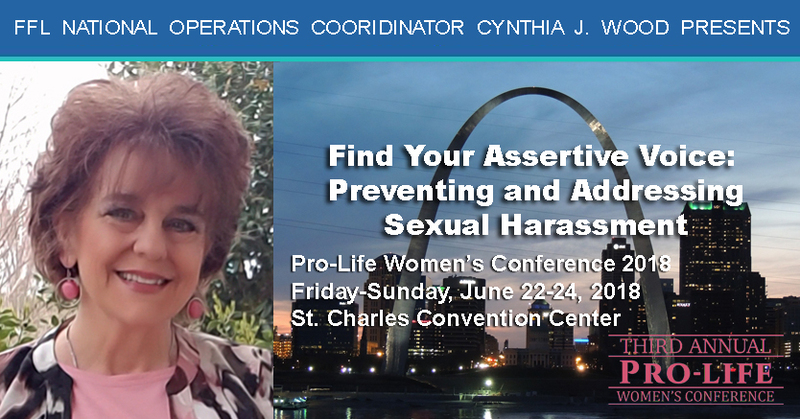 Cynthia serves as the National Operations Coordinator for Feminists for Life of America. Prior to FFL, she worked for the federal government for 35 years as a trainer for numerous workshops, including Prevention of Sexual Harassment (POSH), Effective Communication, and teambuilding and leadership workshops. Cynthia received a law degree from University of Houston Law Center in 1999. She has been a Bar Member of the D.C. Court of Appeals, Virginia, and Florida. You can read her article, “Finding Your Voice to Self-Worth,” in “reCLAIM YOUR VOICE,” the latest issue of The American Feminist. Get your tickets to the Pro-Life Women’s Conference before May 31 to take advantage of early bird registration! The Pro-Life Women’s Conference is sponsored by And Then There Were None, which was founded by Abby Johnson — one of many amazing speakers at this year’s conference. Please let us know if you are planning to attend and if you have already registered, or not.